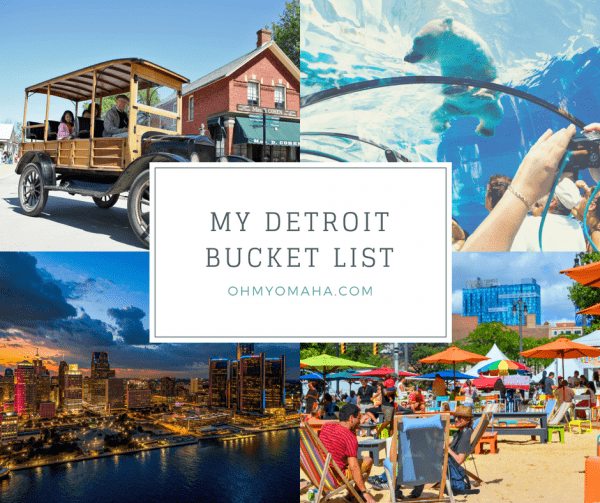 Motown music was on heavy rotation during our Great Michigan Road Trip in preparation for our final stop: Detroit. With a great variety of museums to choose from in the city, I felt it was essential to visit the Motown Museum. But, there are a few things to keep in mind before taking your family there. Disclosure: Our visit was hosted by Visit Detroit. All thoughts, opinions and typos are my own. 1. Book the tour. You can’t peek inside the museum, AKA Hitsville USA, without a taking the one-hour tour. So, you’ll need to buy your tour tickets for a specific day and time in advance. There’s always the option of trying to walk up and buy tickets the day of, but when we were there, we saw people turned away. Don’t risk it if this museum is important to you. 2. Listen to the music. This was my favorite way to introduce the kids to the people and music they would be learning about. You’ll want to be prompt for your timed tour. You’ll meet your tour guide and learn the rules. The big one? No pictures. Most of the time. I’ll get to that exception in a second. The tour takes you through Barry Gordy Jr.’s flat, past displays of gold records, costumes, and historic photos. We heard inside stories about artists who passed through the studio, like how Stevie Wonder was just a kid and there was a rule about not switching out the order of the candy in the vending machine so he’d always be able to buy the candy he wanted on his own. The highlight for me? Standing in the Studio A. It was, like, goosebumps special. 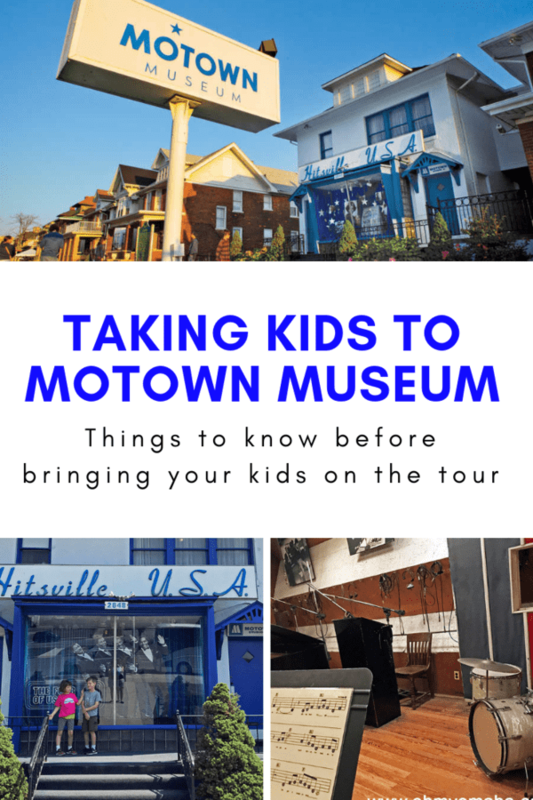 Our guide talked about recording artists who were inspired by Motown greats visiting and weeping when they entered the studio. 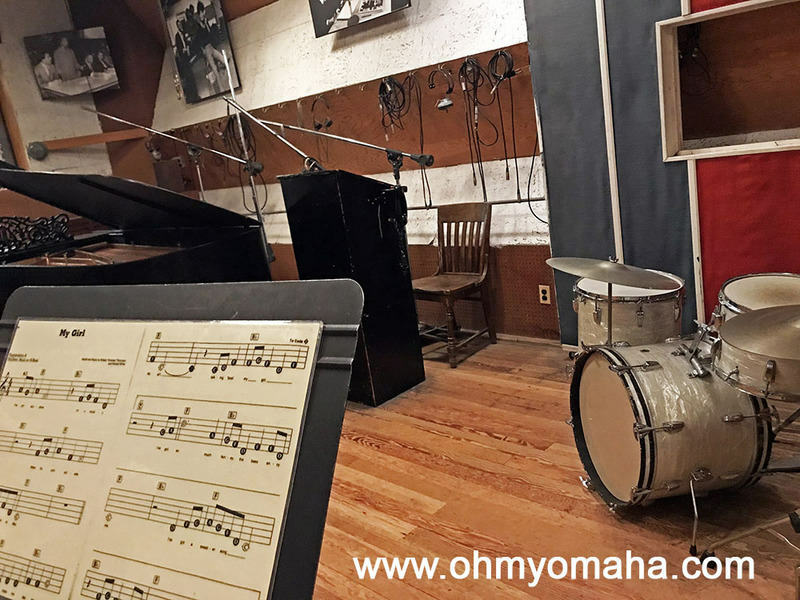 The Temptations, The Supremes and many other famous Motown artists recorded hit songs in Studio A. Visitors to the Motown Museum visit the studio during the tour. It’s fascinating to hear the stories of who recorded there, and to know which songs were recorded in that very space. This was the lone place where we could take pictures. We all sang “My Girl,” and for me, it was a pinch-me moment. 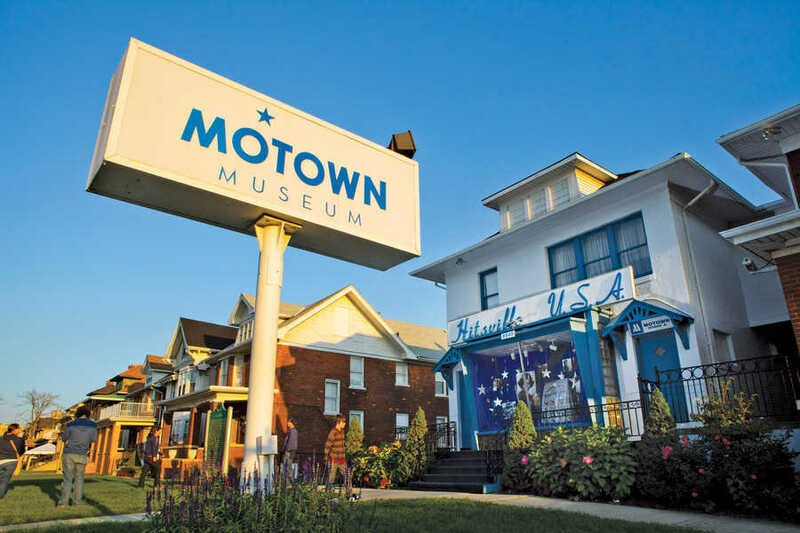 What ages are best for Motown Museum? 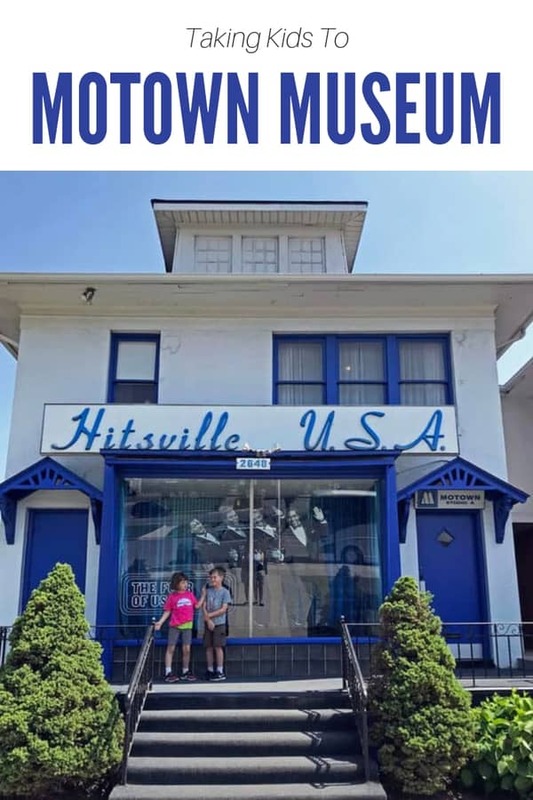 The Motown Museum is packed with insight and history into Barry Gordy, and the musicians and songs behind Motown Records. There’s nothing on display that is inappropriate or over a kid’s head necessarily. However, it’s not for all ages due to the tour structure. 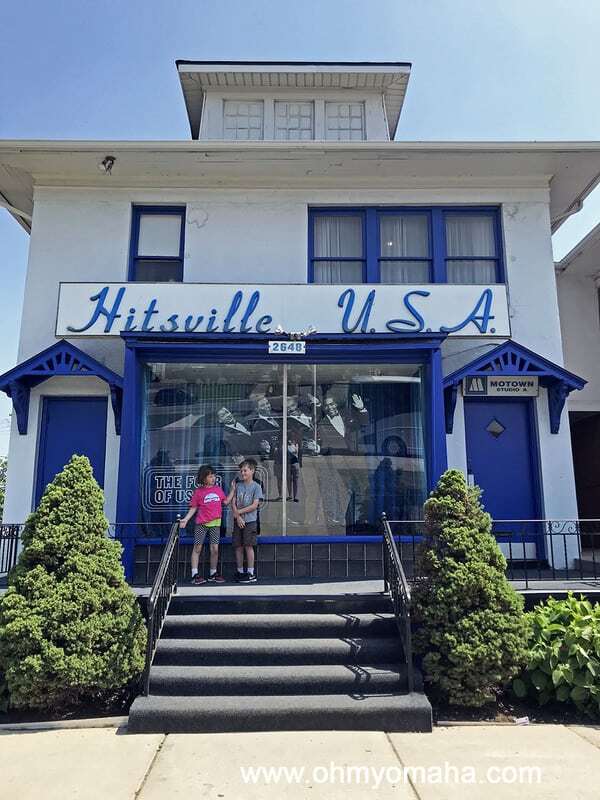 One of my kids managed better on the guided tour than the other…but both insisted on getting Motown Museum T-shirts, so I guess it did make an impression on both. 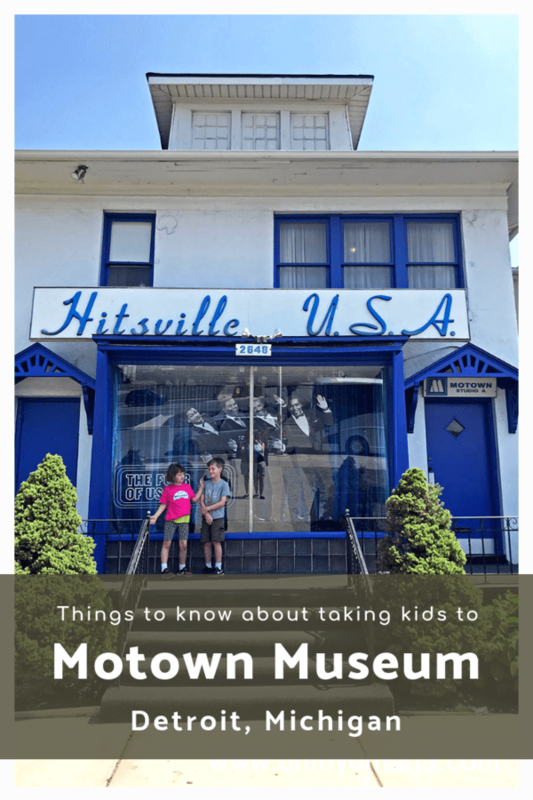 Motown Museum was not a good one for my 6-year-old. The tour goes through a home and rather than having free reign to roam, your tour group follows the guide room-to-room, and there’s no lingering or moving ahead if your little one gets bored. That was tough for my daughter. My daughter was overly tired and wanted to sit at each tour stop while the tour guide talked. There also aren’t many places to sit, except for when we sat to watch the short documentary before taking the tour. Which leads to the other problem for my youngest: She’s not into documentaries. Go figure. That was the longest couple of minutes ever. My son is slightly older and no problem with anything on the tours, besides not having a good sense of timelines and social significances of certain songs or people. Where: 2648 W. Grand Blvd, Detroit, Mich. 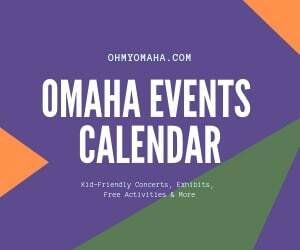 Cost: Tickets in 2018 are $15 for adults, $10 for children, and FREE for children ages 4 and younger. Tickets for tours are first come, first served and often sell out, especially on Saturdays. Tickets can be purchased up to 21 days in advance online. Tours are about an hour long. Here’s the link for tickets, and hours, as well. News to note: The museum has launched a campaign for a $50 million expansion. There was no construction going on when we visited nor have I read when that may begin, but I’d recommend checking on construction plans if and when you plan to visit, just in case. This was the final stop of an epic Michigan road trip. 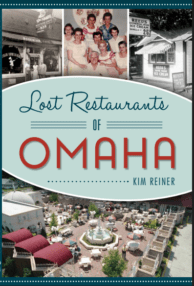 Learn about all of our fun stops here.